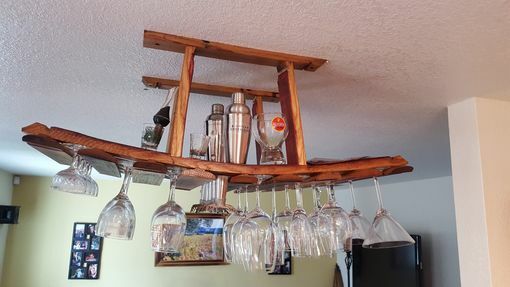 It measures 14"H by 17"W by 38"L and is designed to hang from an 8' ceiling without the average person hitting their head. Mounts to ceilings with 16" OC joists (Other spacing available). 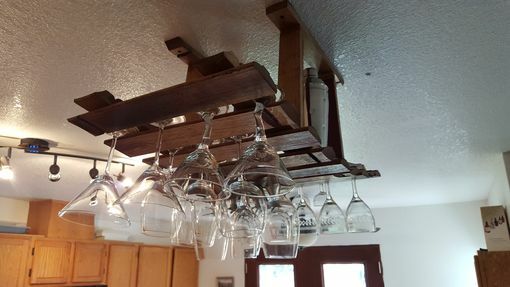 This hanging wine glass rack us made entirely from oak wine barrels retired from premium wineries in the Napa Valley. 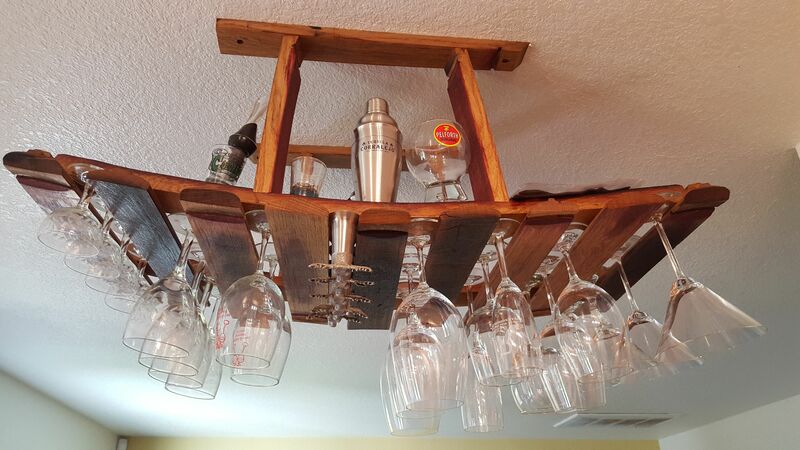 It is hand made by a 20+ yr veteran woodworker using premium joinery.